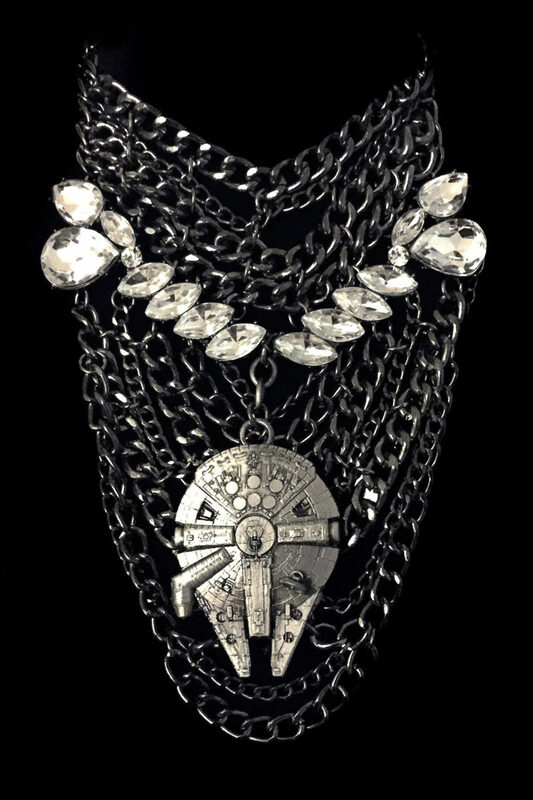 Today’s Nar Shaddaa Style article features designer Danielle Leigh Davis, a celebrity fashion and costume designer who has created a stunning Star Wars concept collection. 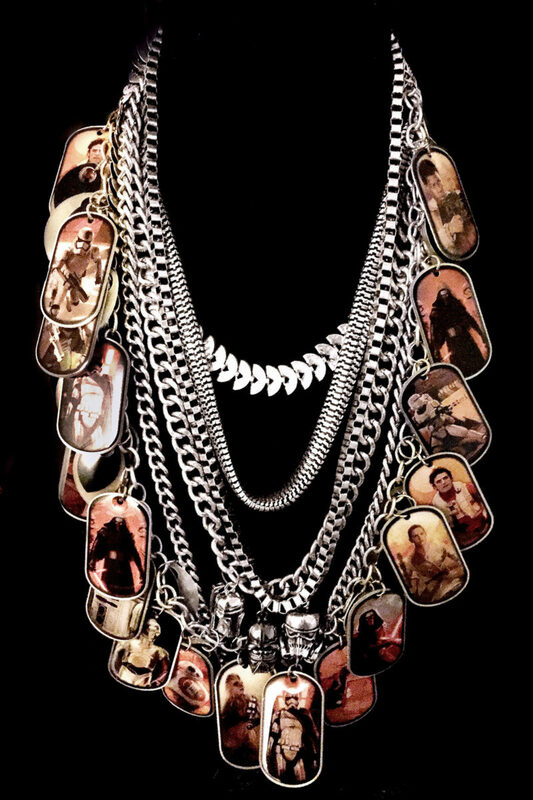 The designer collection includes an array of necklaces, earrings, tank tops, along side bespoke embellished apparel items. 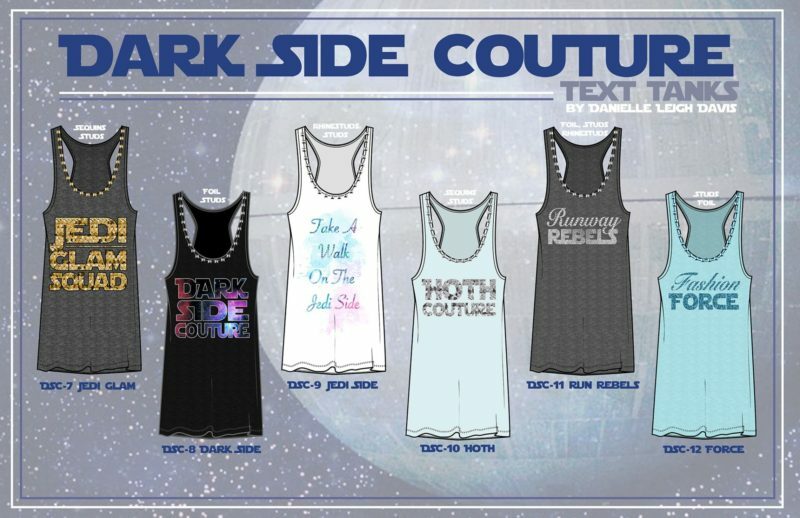 While this collection isn’t available to purchase, Danielle has pitched her designs to Disney – they loved it of course, so fingers crossed we will see her designs for sale in the future! 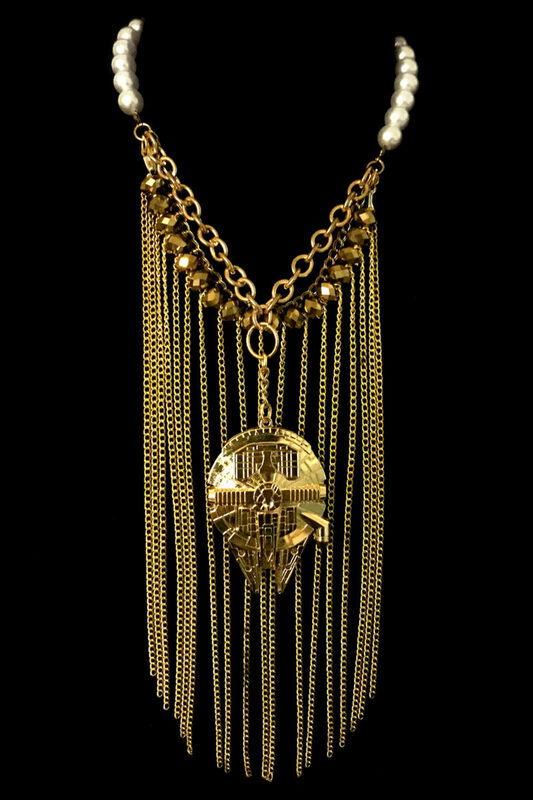 Danielle has been working in the industry for the last 14 years, with her creations being worn by celebrities including Kesha, Carmen Electra, and Carrie Underwood. Her work has been showcased in dozens of magazines, tv shows, and concerts – not to mention her many awards and achievements. I am just in awe of this collection – I absolutely love the style and attitude of Danielle’s work. 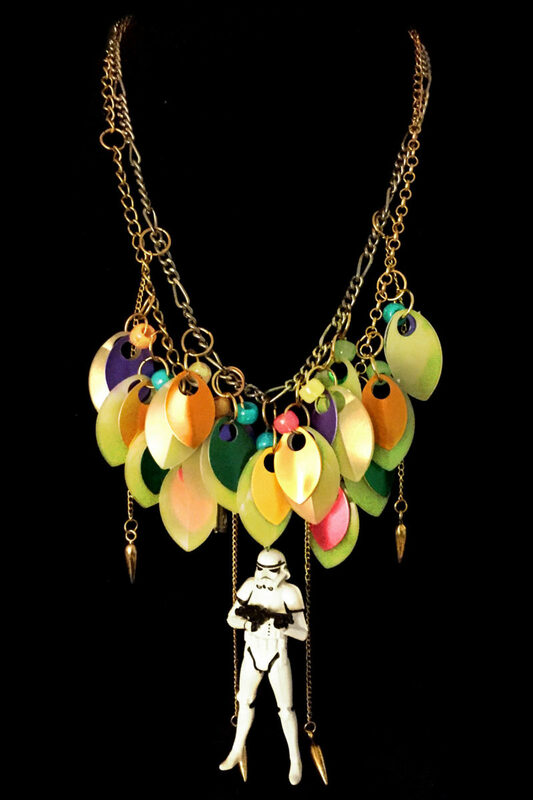 It is so refreshing to see a new and unique take on women’s Star Wars fashion, for the women who don’t fit into the mass-market style categories. Danielle’s collection is a true fashion collection – whether or not you love the total head-to-toe look, there is something in the collection for everyone. I especially love the necklaces – they are unlike anything currently available from licensed Star Wars jewelry brands. 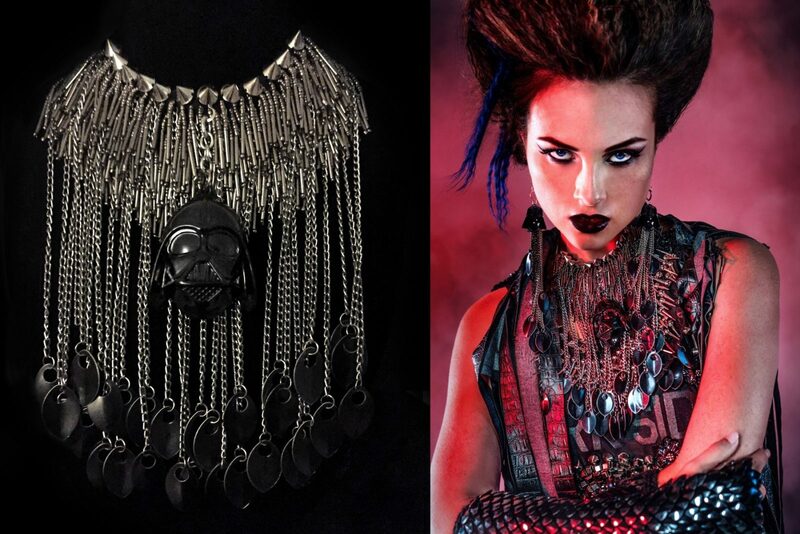 The Dark Side (fashion editorial)…original came from a story concept idea that I had for a web series. 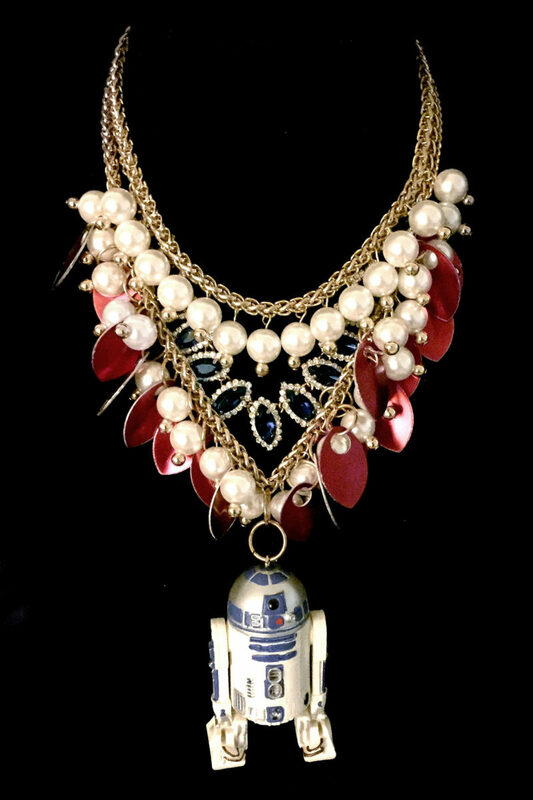 I wanted to ask the question, “What would happen, if I mixed the sci-fi geek culture with a rock n roll fashionista” (a.k.a “Star Wars vs. Mean Girls”)? Over the past 2 years…I’ve seen so many star wars lines, but I didn’t see anyone do real rock line yet. 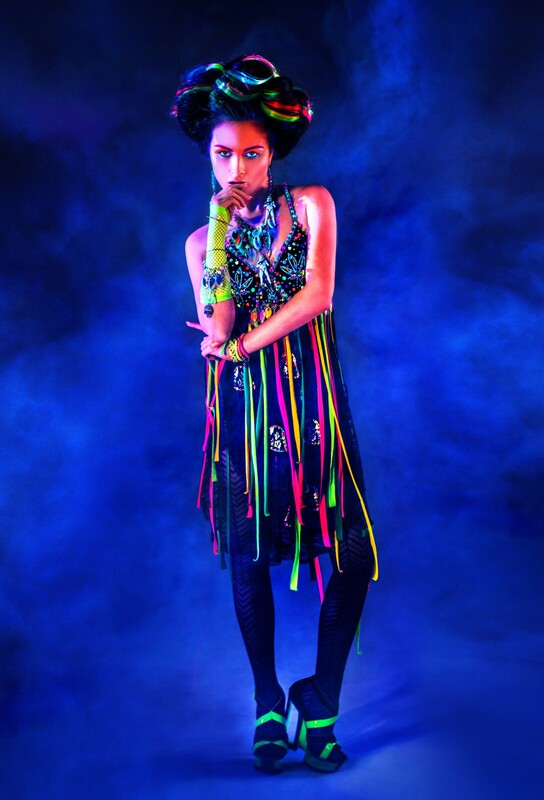 So I then decided to use that concept instead for a high fashion shoot and I ran with it. 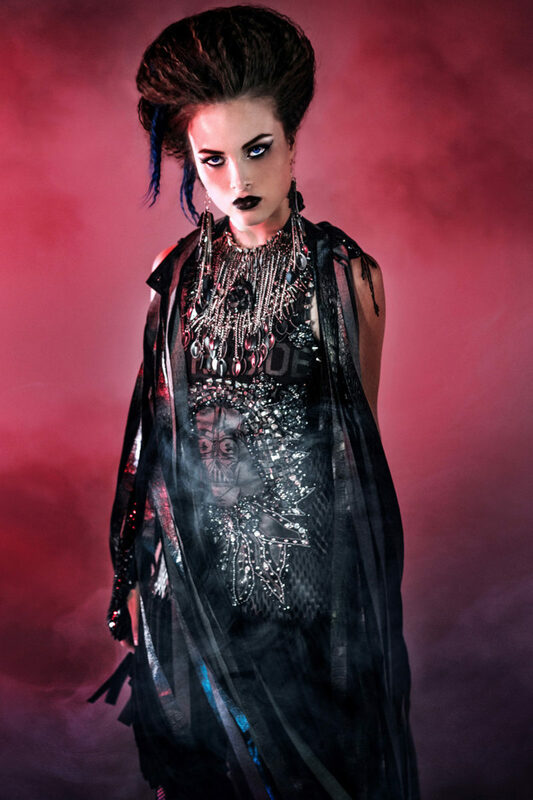 I broke the shoot down into 5 categories…Goth for Darth Vader, Punk for Sith, Rockabilly for the Storm Trooper, Futuristic Glam for the Droids and Raver for the Jedi’s. 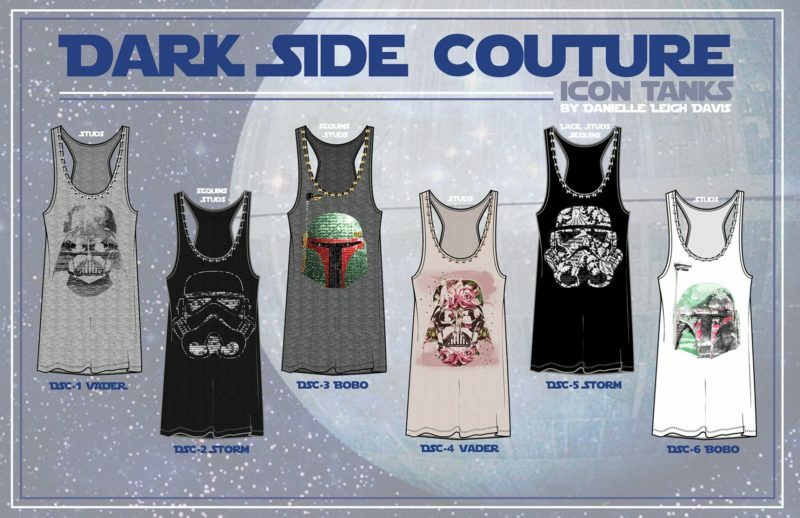 Geek fashion is about wearing clothes that represent who you are, and what you love – current Star Wars fashion tends to fit within a narrow selection of styles, and while that suits a lot of people, it doesn’t cater for everyone. 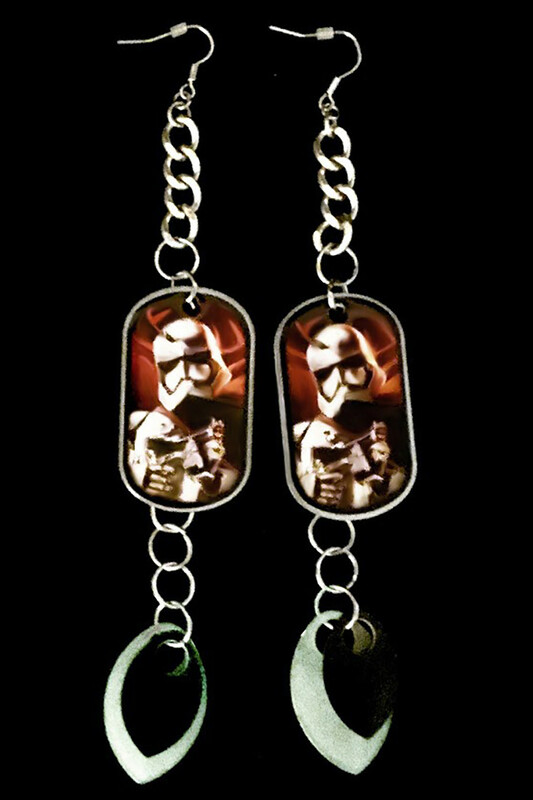 This is a great example of a fan taking their love of Star Wars and mixing in their own personal style. While I don’t consider my own style to be quite ‘rock n’ roll’, I am really inspired by Danielle’s collection to try venturing outside my usual wardrobe choices – Star Wars can fit into any fashion style! 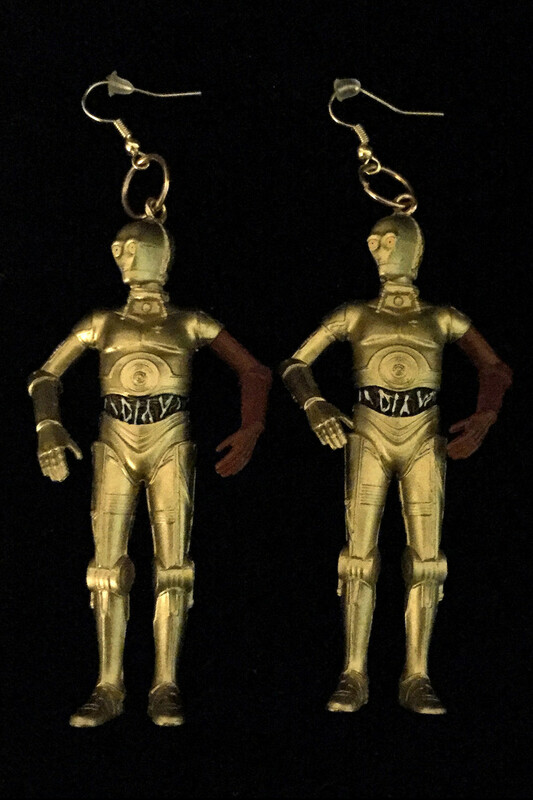 I’ve been a Star Wars since I was a child in the 80’s. So pretty much all my life. 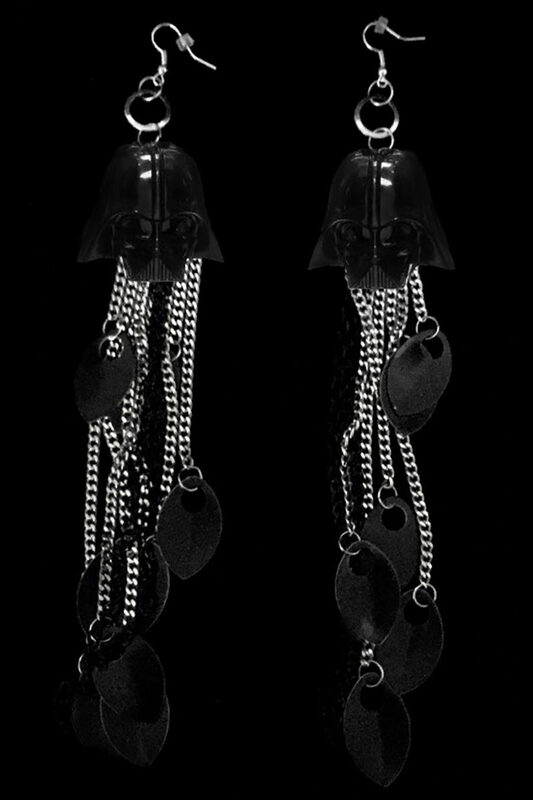 I think Darth Vader and Princess Leia are my favorite characters. 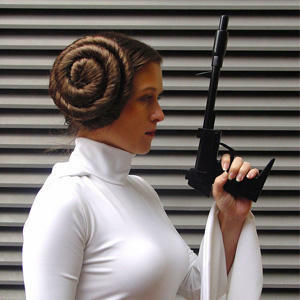 I love the Dark Side…but I also like the strong independent woman that Leia represents…she is not a damsel in distress by any means. 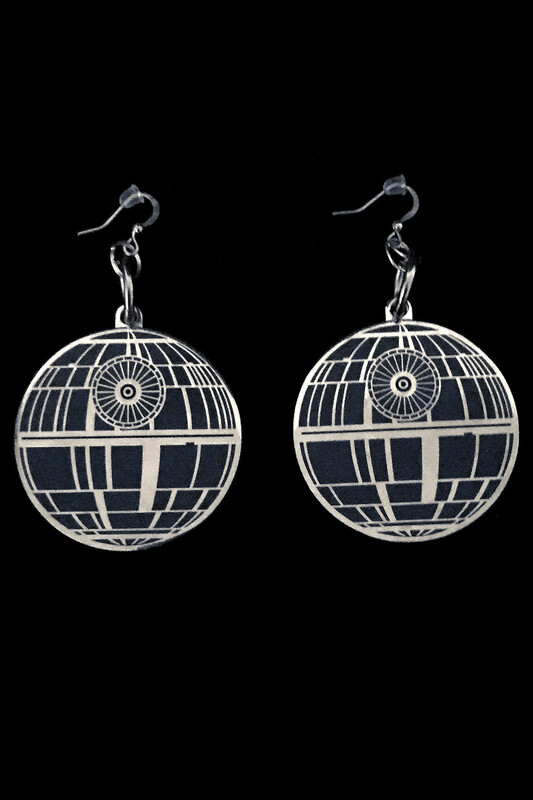 What inspired you to design Star Wars accessories and apparel? 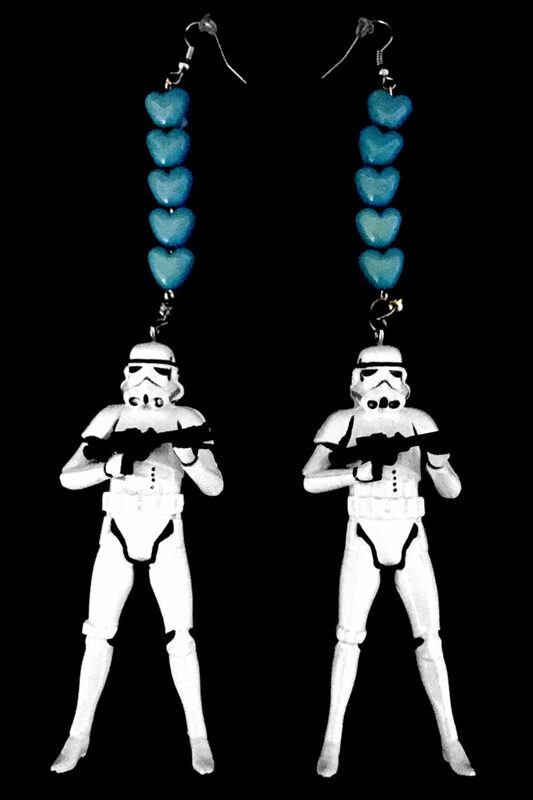 I’ve design Star Wars apparel for my work in the past…and I’ve seen so many Star Wars lines online and in stores…but I haven’t see anyone do a Harajuku-Rock inspired line yet (something that you might see at Burning Man, MTV Awards or Coachella). 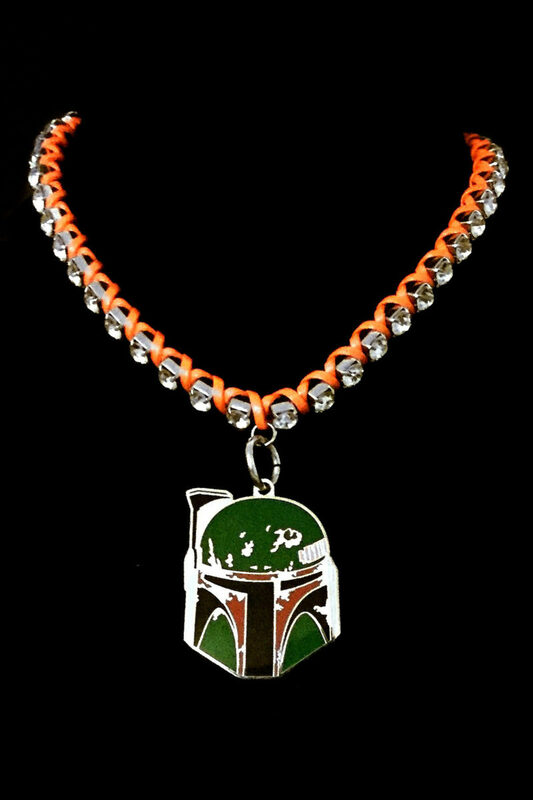 I wanted to make a line that a fashionista might wear as well (try to also appeal to someone…who might not be a Star Wars fan). How did you decide which Star Wars characters/elements to feature in your designs? 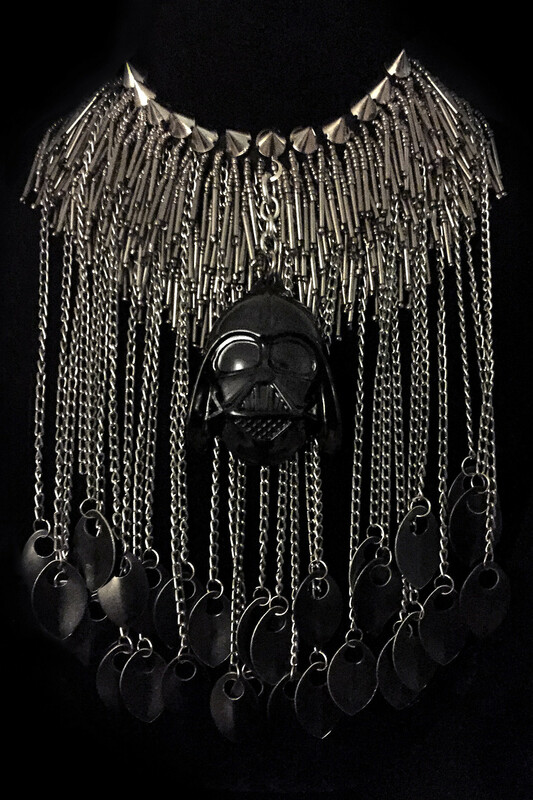 I wanted to do a Rock line (Rockabilly, Punk, Glam, Goth…so Darth Vader, Sith, Storm-Trooper, C3PO and R2D2)…were the prefect match for those categories. Your collection has a very distinctive and unique style – is this reflective of your own personal style, or inspired by someone/something else? Yes… I do think my collection represents my person style. I grew up as an artist…and think as an artist, it’s natural to develop your own signature style. 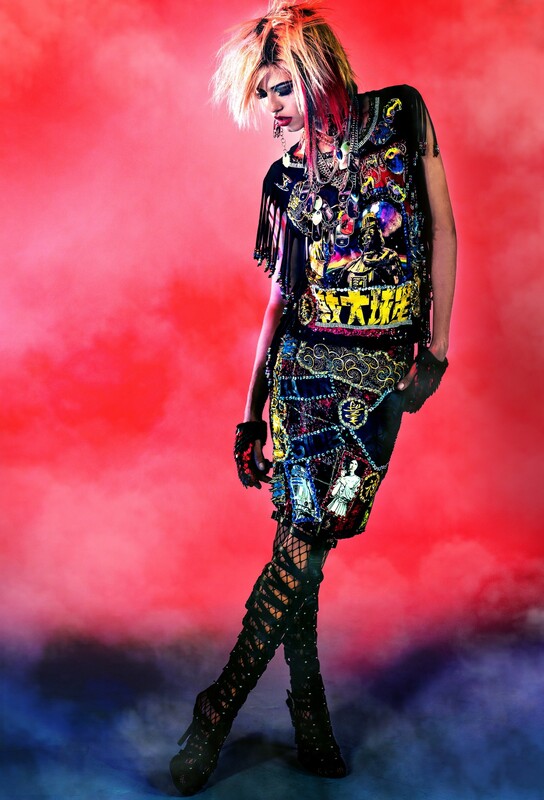 I think if look at the clothes that I make in general…you can tell that it all came from the same person. How would you describe the style of your Star Wars collection? Star Wars meets Rock & Roll and Harajuku Couture. Do you have any favourite style icons? Vivienne Westwood, Alexander McQueen, Thierry Mugler, Iris Van Herpen, Betsey Johnson, Jean Paul Gaultier, Jeremy Scott, Daphne Guinness, David Bowie, Madonna, Gwen Stefani and Gareth Pugh. How long did it take you to design and create your amazing Star Wars collection? A few months…everything was made by hand. Tons of hand sewing, beading and embroidery…all in my personal time (after work). So many weekends and late nights…but it was worth in the end (Disney loved it, when I pitched it to them) . 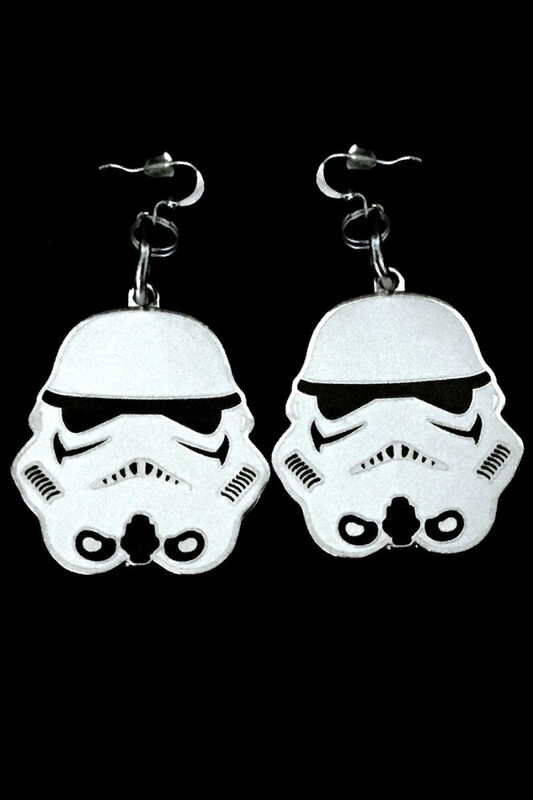 Do you have any particular favourite Star Wars fashion items/brands? 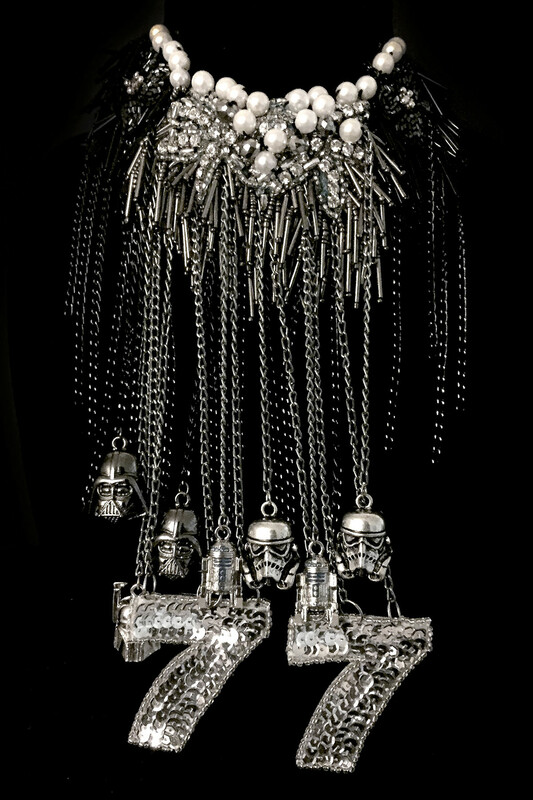 I tend to gravitate to more couture lines…I love the Rodarte Star Wars Collection, Irregular Choice and Nicholas Kirkwood Star Wars shoes. Many thanks to Danielle for her time in answering my questions. 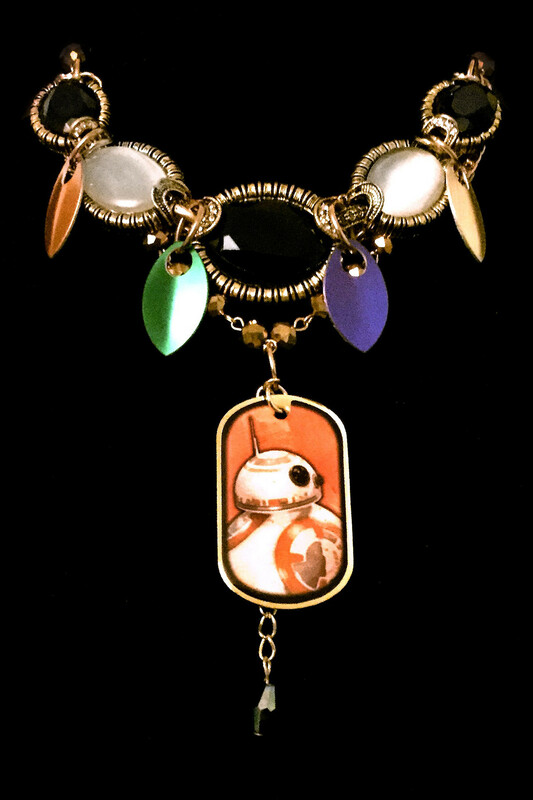 It is such a delight to see a skilled designer give a refreshingly different take on Star Wars fashion. I sincerely wish the best success for Danielle – and hope to see her amazing designs available for sale in the future! Photos provided by and belong to Danielle Leigh Davis.